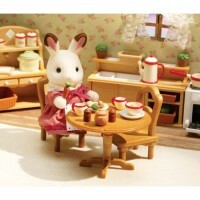 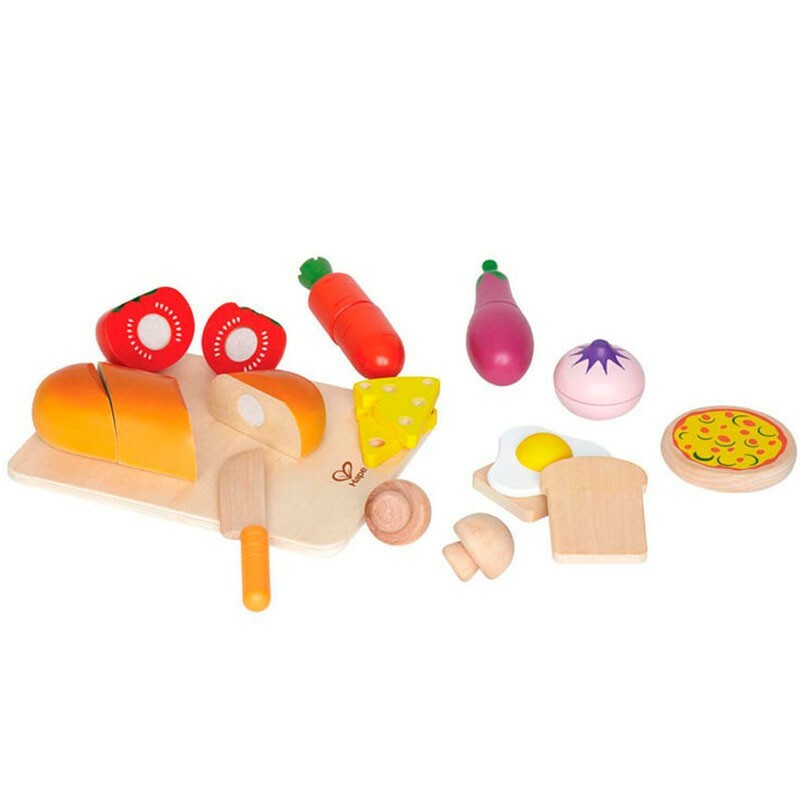 Get the yummy looking bread, cheese, vegetables, and cook pretend meal for your plush toys or family. 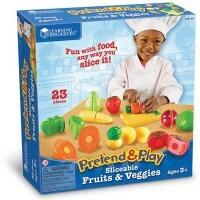 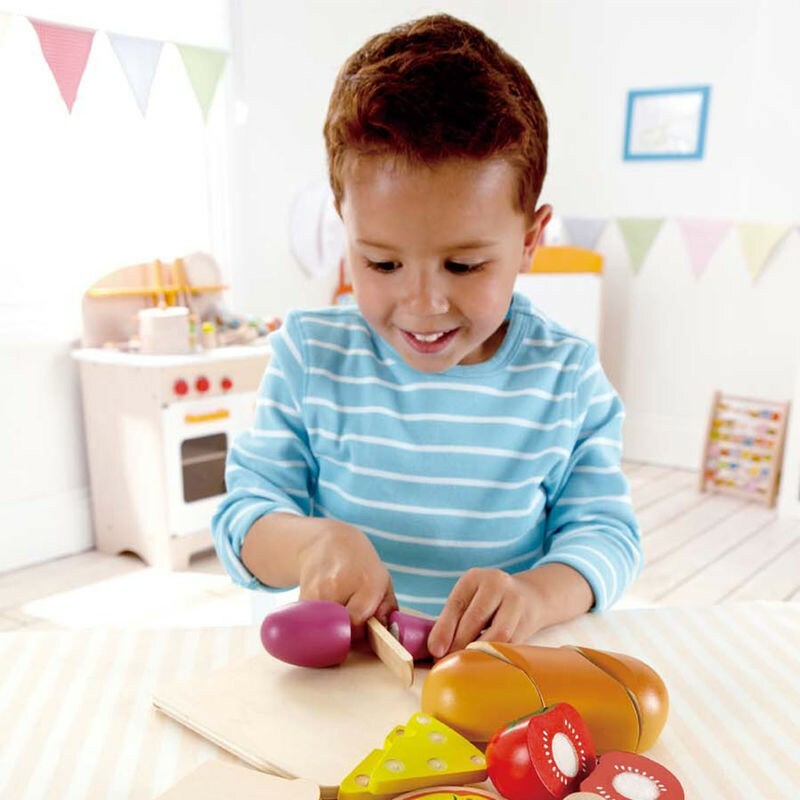 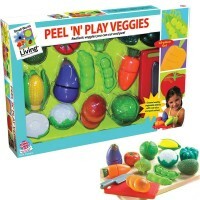 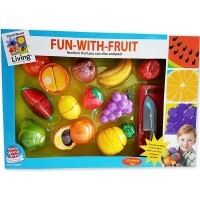 The smooth colorful food from this gourmet cooking playset looks really yummy! 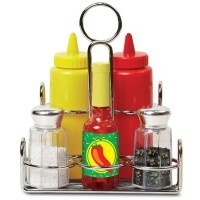 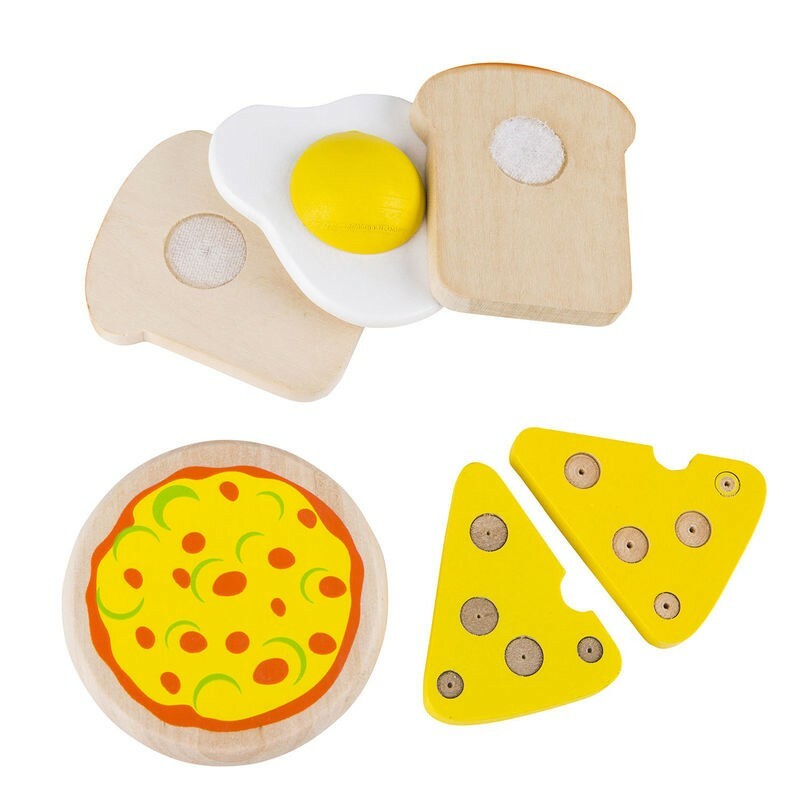 Your little chef will gladly pretend slice these ingredients and cook breakfast, lunch or even dinner with this bestselling food set. 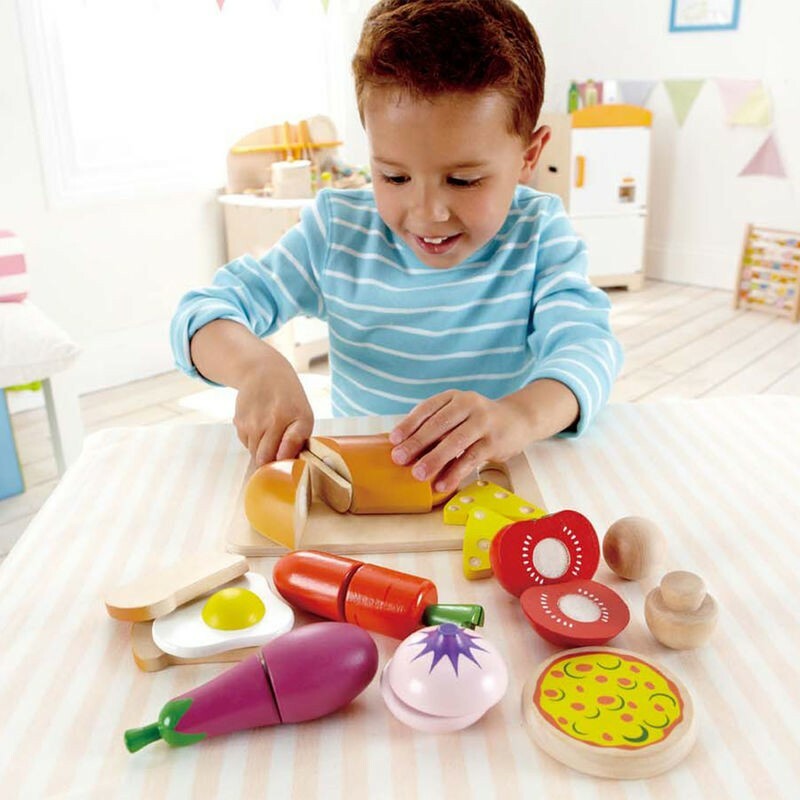 Chef's Choice 14 pc Cutting Food Wooden Play Set comes with everything your child needs to cook a pretend meal, but his/her own imagination. 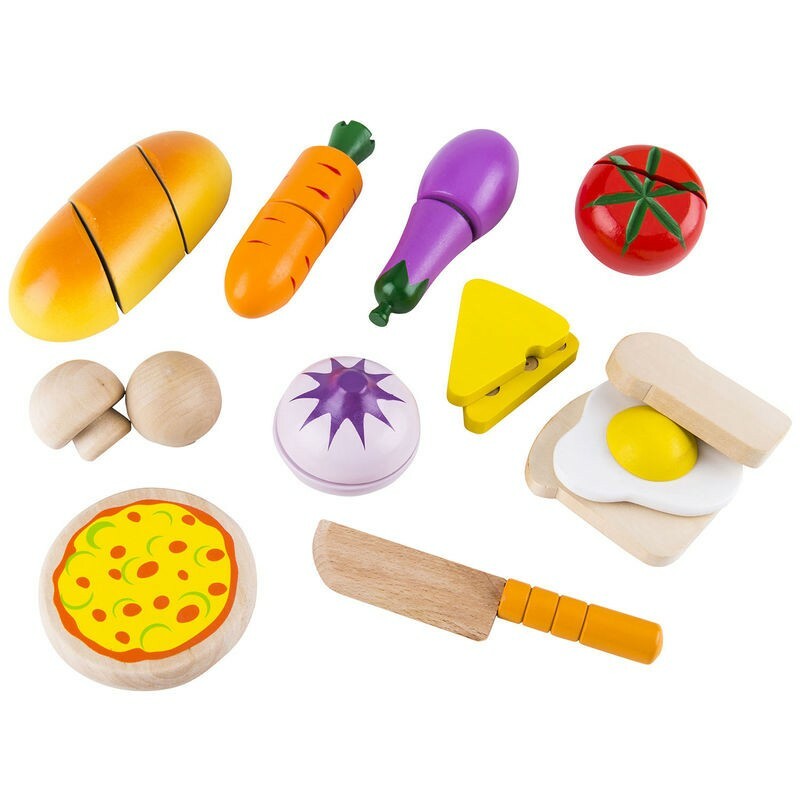 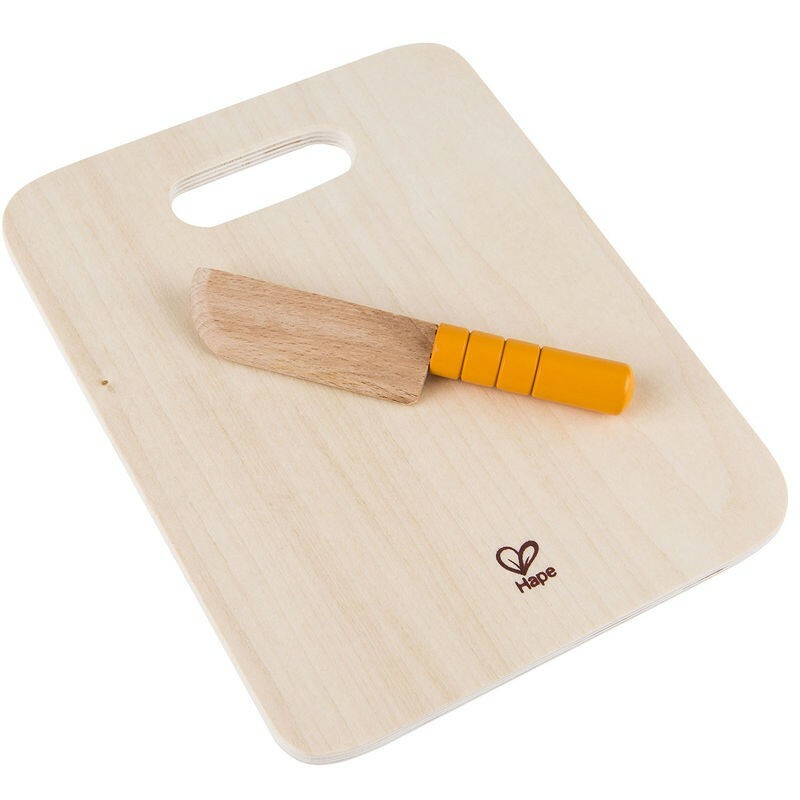 The food starter set features a cutting board, perfectly safe wooden play knife, and food ingredients: bread, tomato, carrot, cheese, fried egg, mushrooms, eggplant, and more! 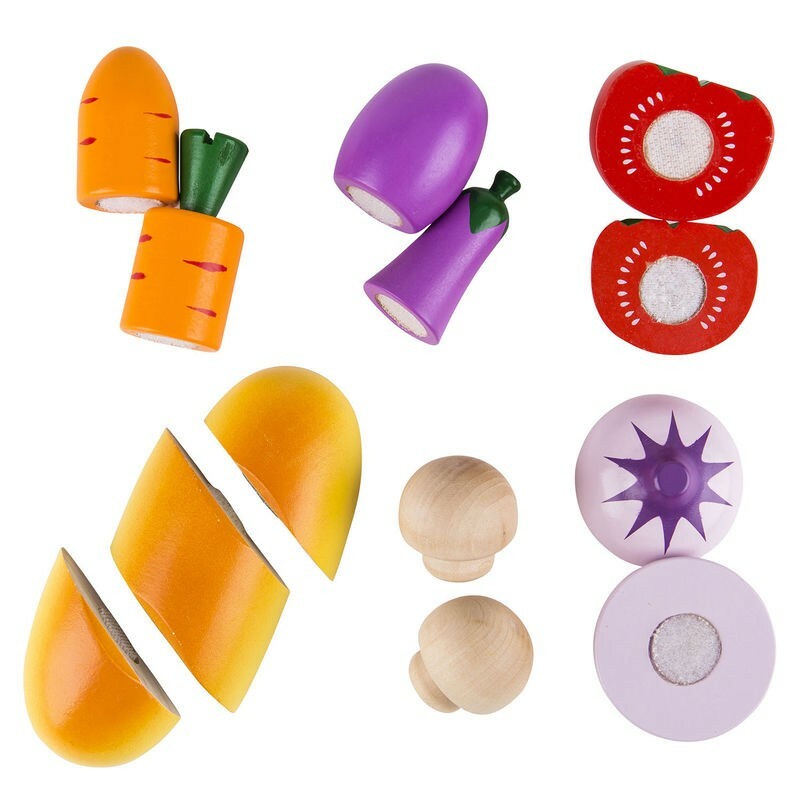 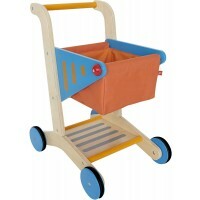 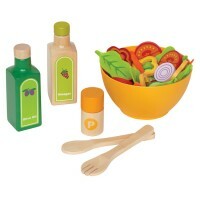 This pretend food set is made by Hape Toys from high quality wood and kids safe materials. 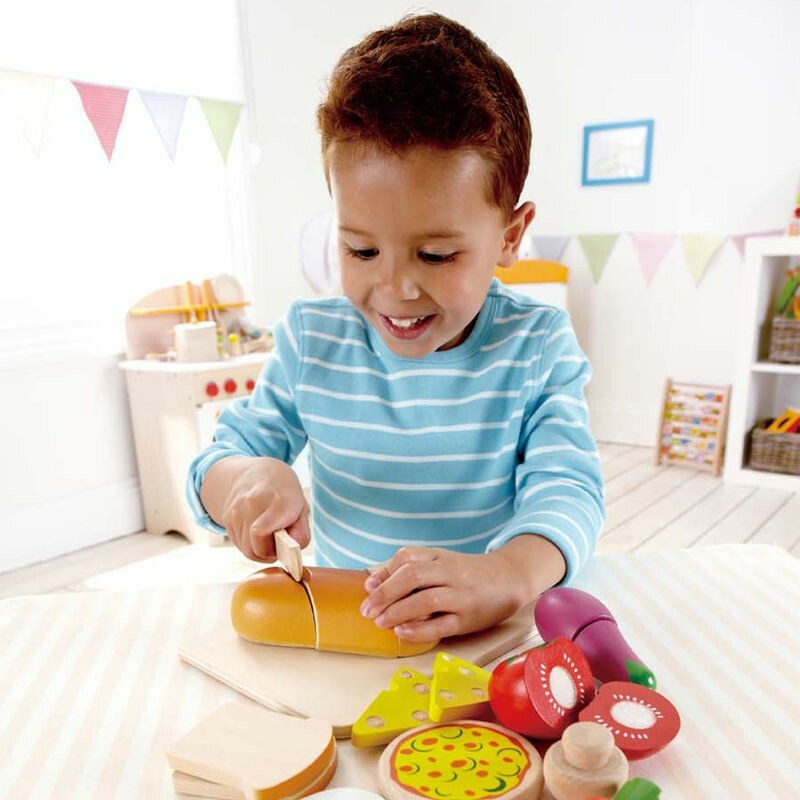 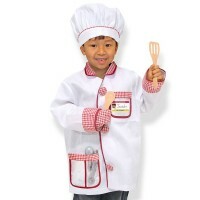 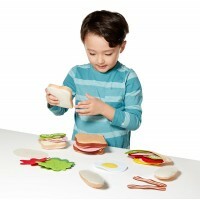 Your child can make a sandwich, or just practice his/her motor skills slicing velcro-connected pieces from this Educational Toys Planet's gourmet food set. 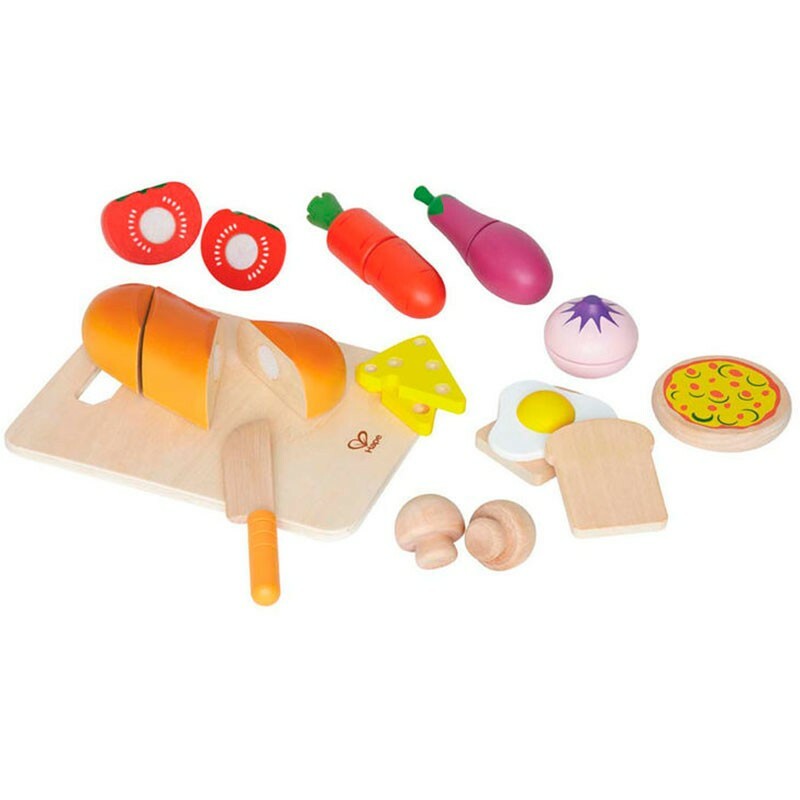 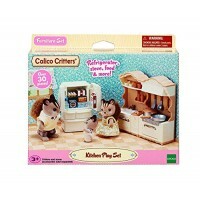 Write your own review of Chef's Choice 14 pc Cutting Food Wooden Play Set.